That old adage, “if it looks like a duck, swims like a duck, and quacks like a duck, then it probably is a duck” holds true for…waterfowl and a host of persons, places and things, but not for greenhouses in the recent Ohio Board of Tax Appeals decision, Viola Associates, LLC v. Lorain County Board of Revision, Case Nos. 2016-1273, 1274 and 1275. Green Circle Growers Inc. and Viola Associates, LLC (collectively, “Green Circle”) own approximately 186 acres of land improved with greenhouses, packing and storage facilities, a residence and barn. Lorain County valued (in 2016) the property for tax purposes at approximately $40 Million. Green Circle filed complaints with the Lorain County Board of Revision (“BOR”) seeking a reduction in value to approximately $22 Million. Shortly thereafter, the appellee, Firelands Local Schools Board of Education (“BOE”) filed a counter complaint in support of maintaining the auditor’s $40 Million value. The primary issue addressed by the BOR (and afterwards, by the Board of Tax Appeals) was whether the greenhouses situated on the property should be treated as real property, and accordingly included in the assessment of the subject property’s total true value; or as personal property that should be excluded from the subject’s value for purposes of real estate taxation. At the BOR hearing, Green Circle claimed that the greenhouses, while attached to the land, are removable, and therefore constitute personal property that should not be included in the auditor’s valuation. Green Circle presented testimony from several witnesses who testified that “the method by which a greenhouse is affixed to the ground and constructed is similar to an erector set, in that it can be deconstructed and reconstructed with limited damage” and that “there is an active secondary market for the resale of greenhouses, which are deconstructed and then sold to again be used for horticulture.” Green Circle also offered testimony from an appraiser who opined that the greenhouses were personal property and should not be included in the value of the subject real property because they could be removed from the property with relative ease, and would yield little value to anyone other than someone in the horticulture business. The BOE cross-examined Green Circle’s witnesses, but did not offer any independent evidence of value. Distinguishing between personalty and realty is a vexing issue in many real estate and tax related arenas. In landlord-tenant law, for example, the issue usually centers on who is entitled to remove and/or retain the item in question (e.g., a supplemental HVAC system bolted to the roof) at the end of the lease. In a foreclosure, the issue is whether or not the item is realty, and can be foreclosed upon, or personalty, and not part of the property being foreclosed. The distinction in tax law can determine what are qualifying REIT assets, the amount of a taxpayer’s Investment Tax Credit, what gets capitalized and whether or not property qualifies as a 1031 Exchange. At early common law, the general rule was that everything attached to realty became part of the realty, and therefore was deemed irremovable. Friedman on Leases, Sec. 24.1 at 1414 (2005). In modern times, as is the case with many “general rules,” the exception (removability) seems more general rule than exception. While most would agree that a 20 story office building is realty and a lawn mower is personalty, between the extremes is much more difficult to assess. In other words, how does one classify grain bins, silos, electronic billboards, cold storage cooler rooms, oil tanks and amusement park rides? Unfortunately, there is no one size fits all definition. In Ohio, the answer for landlord-tenant issues can be found in common law decisions. See, e.g., Perez Bar & Grill v. Schneider, 2012-Ohio-5820; Household Finance Corp. v. The Bank of Ohio, 62 Ohio App. 3d 691, 694 (1989) and Friedman on Leases, Sec. 24.1 at 1414 (2005). The definition of real property for various income tax issues can be found in the U.S. Tax Code and corresponding regulations for the applicable tax issue. 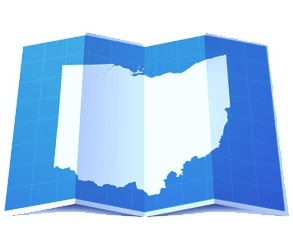 In determining whether a landowner’s real estate should increase in value for real estate tax purposes (or not be affected because the item in question is personal property), county auditors must look to the statutory definitions of real property and personal property in the Ohio Revised Code. The definitions of “buildings”, “fixtures”, “improvements” and “structures” appear in R.C. 5701.02 (B) - (E), respectively. “(A) ‘Personal property’ includes every tangible thing that is the subject of ownership . . . including a business fixture, and that does not constitute real property as defined in Section 5701.02 of the Revised Code. To reach its conclusion that the Green Circle greenhouses were personal property (and that the BOR decision should be overruled), the Board of Tax Appeals (“BTA”) in Viola first felt it necessary to determine if the subject greenhouses could be classified as buildings, structures or improvements. If so, the analysis would end there, and the greenhouses would be taxed as real property. The BTA reasoned that the definition of these items in R.C. 5701.02 (B) - (E) all shared “an element of permanence in their original fabrication or construction” (vs. a “fixture” or “business fixture” that starts out as an item of tangible personal property, that then becomes attached or affixed to the land or to a building, structure, or improvement). The BTA then determined the greenhouses were not buildings, structures or improvements, based upon the testimony presented by Green Circle’s witnesses that described the greenhouses as temporary, built to be removed and often sold on a secondary market following removal. According to the BTA, the greenhouses were a far cry from permanently constructed buildings built to shelter persons or property, or structures defined by the Ohio Revised Code to include bridges, dams and silos. The BTA was not swayed by the appellee’s argument that the greenhouses were permanent because they were attached to concrete. Although the concrete is incorporated into the real estate, according to the BTA, “that does not transform the item to which it is attached [to real estate], such as an… amusement park ride and its shelter, which retains its character as tangible personal property, albeit permanently affixed to the land.” Moreover, personal property can include foundations and supports pursuant to R.C. 5701.03. Once determined not to be structures, buildings or improvements, the next threshold question for the BTA to answer was whether or not the Green Circle greenhouses were “fixtures,” and accordingly, real property; or “business fixtures”, and accordingly, personal property. According to the BTA, the “statutory test” for items not buildings, structures or improvements boils down to whether the item “primarily benefits” the business or the realty. This makes sense as the statutory definitions of “fixture” and “business fixture” are identical, except for the primary benefit language at the end of each definition. In other words, the greenhouses would be classified as “fixtures” and real property if they primarily benefit the realty; or “business fixtures” and personal property if they primarily benefit the business. What about precedent (prior decisions on point)? In fact, the BOE strongly argued that the Supreme Court of Ohio, in Green Circle Growers, Inc. v. Lorain Cty. Bd. Of Revision, 35 Ohio St. 3d 38 (1988) decided that these very same greenhouses were real property and should be taxed as such (for the applicable tax years in question). The BTA in Viola easily distinguished this case, however, because it was decided prior to the 1992 amendment to R.C. 5701.02 and 5701.03 that revised the definitions of real and personal property for taxation purposes, most notably adding the newly defined “business fixture,” which the Ohio General Assembly specifically excluded from the definition of real property. According to the BTA in Viola, “these definition changes demand reconsideration of the issue and lead to a different result.” Namely, that the greenhouses should be deemed personal property and not part of the real estate. Adding “insult to injury”, the BTA in Viola also described two cases decided after the 1988 Green Circle case (and after the afore-mentioned 1992 amendments), in which the Supreme Court of Ohio held that the items of property in question were business fixtures and not real property fixtures. See Metamora Elevator Co. v. Fulton Cty. Bd. of Revision, 143 Ohio St.3d 359, 2015-Ohio-2807 (Grain Bins were held to be business fixtures and not real property); and Funtime, Inc. v. Wilkins, 105 Ohio St.3d 74, 2004-Ohio-6890 (amusement park rides and their accoutrements were held to be business fixtures and not real property). With an approximate $30 Million difference between the BOE’s opinion of value and the BTA’s determination of value, the appellee, reportedly has petitioned the Ohio Supreme Court to consider the matter. Only then will we know if what looked like a greenhouse building to the Ohio Supreme Court in 1988 is still a greenhouse building in 2018, or a business fixture as determined by the BTA in Viola.